Chance the Miniature Golden Retriever—"The dogs are bred to be 14-18 inches at the shoulders and between 20-45 lbs. 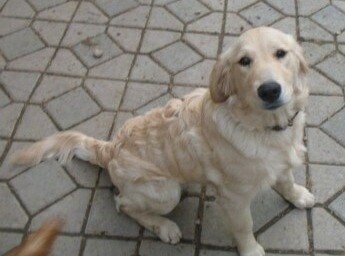 At C and S Ranch, we have been working on creating the Miniature Golden Retriever breed. We don't just want a "look-alike" dog that we can call a Miniature Golden Retriever. What we are striving for is perfection. 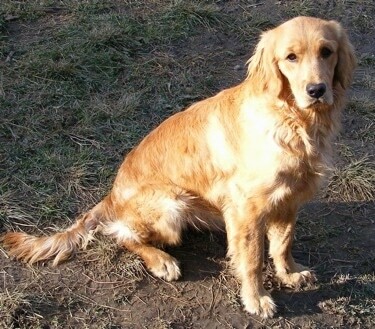 We want not only the look but the temperament, disposition, personality, trainability and gentleness that the standard Golden Retriever is well known for. The only thing that we hope our dogs will be lacking is the 80-120 lb. size of some of the purebred Goldens of today and the health problems associated with it. Our breeding stock is carefully chosen, with typically "personally" known history on parentage, disposition, temperament, size, health and overall Golden type characteristics. Not all of our litters have been perfected as of yet but we are working diligently on the project as a whole. Thank you for your patience and understanding through this process." 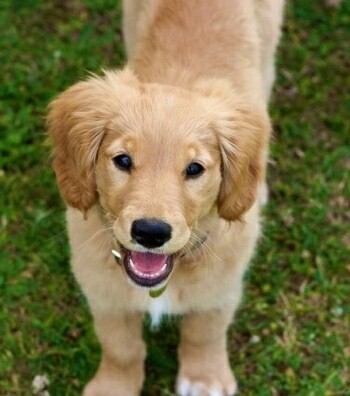 The Miniature Golden Retriever is not yet a purebred dog, however there are many breeders independently working on it. For now it is a cross between the Golden Retriever, Cocker Spaniel and the Poodle, at various stages of development and various mixtures of the three breeds. The best way to determine the temperament of a mixed breed is to look up all breeds in the cross and know you can get any combination of any of the characteristics found in the breeds. It is very common for breeders to breed multi-generation crosses. Some are mixing the Cavalier King Charles Spaniel with the Golden Retriever and calling it a Petite Golden Retriever, which is also sometimes called a Golden Cavalier. Bella the Miniature Golden Retriever hybrid puppy, bred by KAYA—"Bella is a blend of all 3 breeds, the Goldendoodle, Cocker Spaniel and the Poodle." 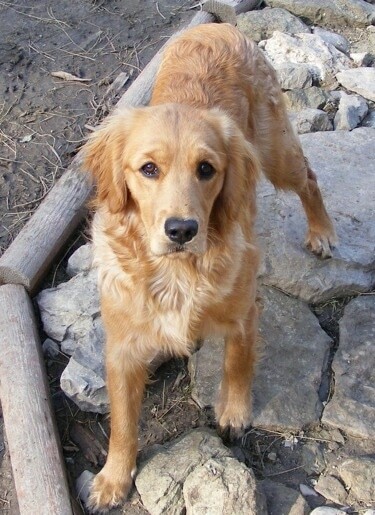 Sara the Miniature Golden Retriever, bred by KAYA—"Sara is an F1B Goldendoodle backcross." Harmony the Miniature Golden Retriever, bred by C and S Ranch, which is breeding their dogs to be about 17-18 inches at the shoulders and between 35-45 lbs. Chance the Miniature Golden Retriever, bred by C and S Ranch, which is breeding their dogs to be about 17-18 inches at the shoulders and between 35-45 lbs. Rosemary the Miniature Golden Retriever, bred by C and S Ranch, which is breeding their dogs to be about 17-18 inches at the shoulders and between 35-45 lbs. Rosemary the Miniature Golden Retriever bred by C and S Ranch, which is breeding their dogs to be about 17-18 inches at the shoulders and between 35-45 lbs.